So what's this factional scaling? 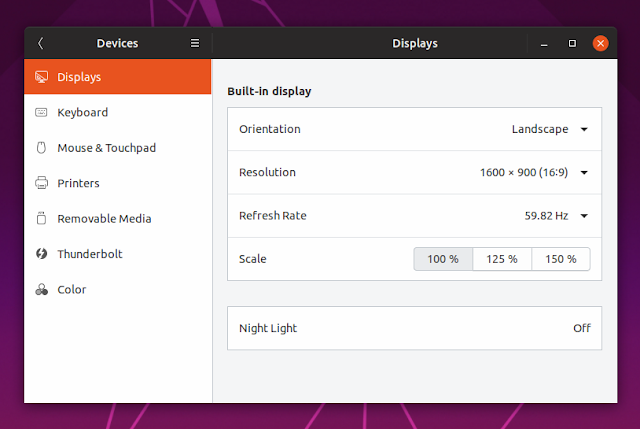 The default GNOME scaling only allows scaling the user interface in whole numbers (e.g. 100%, 200%), and this doesn't work well with every HiDPI monitor; this is where fractional scaling comes in, which allows scaling using fractions, so users can set scaling percentages like 125% or 150%. gsettings set org.gnome.mutter experimental-features "['x11-randr-fractional-scaling']"
It's worth noting that using fractional scaling on X11 has effects like increased CPU and GPU usage. This only solution for this right now is to use a Wayland session instead.